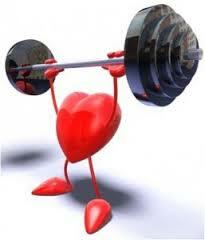 We all know that for optimum Heart Health we need to eat a healthy diet, exercise regularly and not smoke. But did you know that the little things you do every day can have a big impact on the most important muscle in your body? Below is a list of seven habits that may be hurting your heart, and you might be surprised how these “little” things add up, so don’t be complacent with them! 1. You fly off the handle. Do you suffer from regular bouts of rage or intense anger at home, at work or in traffic? If so, your angry temperament may be hurting more than the people around you. While moderate anger can be a good way to release tension, explosive anger or chronic bouts of rage can increase your risk of heart disease. A 2000 study published in the journal Circulation found that among almost 13,000 middle-aged American men and women with normal blood pressure, those who were the angriest had almost twice the risk of Coronary Heart Disease three times the risk of heart attack when compared to those with the lowest levels of anger. Researchers note that while anger can harm your heart, anxiety and other negative emotions probably also play a role. Anger and anxiety have been shown to increase blood pressure, disrupt the electrical impulses of the heart and possibly speed up the process of atherosclerosis, a fatty build up in the arteries. Tips to help: Pause and take a few deep breaths when you feel anger coming on.. Taking steps to control the cause of your stress is more beneficial. 2. You sleep too much (or too little). Getting fewer than five—or more than nine—hours of sleep a night can hurt your heart because both extremes elevate blood pressure and levels of stress hormones. In fact, the Nurses’ Health Study of more than 71,000 women, ages 45 to 65, found that sleeping five or fewer hours each night increased the risk of coronary disease by a whopping 45%. Those who regularly slept nine or more hours had a 38% greater risk than those who slept eight hours—even after taking snoring and smoking in account. Tips to help: Try to go to sleep and wake up at the same time each day. 3. You don’t floss regularly. You may think that regular flossing just helps keep your pearly whites in tip-top shape, but research shows that dental disease and cardiac health are correlated. Researchers believe that inflammation from gum disease allows bacteria to enter your mouth’s blood vessels, travel into the coronary artery vessels, and narrow their passages. This reduces blood flow, which hurts the heart. In fact, people with coronary artery disease are 38% more likely to also have gum disease. Tips to help: Set a goal to floss regularly, and track it until it becomes a habit. 4. You see the glass as half empty. Looking on the bright side isn’t just about improving your mental state; it’s also a boost for your heart. In a ground breaking 2009 issue of the American Heart Association journal Circulation, researchers found that not only did optimism seem to protect against heart disease and death but also that pessimism seemed to increase the risk. Furthermore, subjects with the highest degree of hostility and cynicism were also more likely to die from all causes than those who had more upbeat attitudes. Pessimists were more likely than optimists to have diabetes, high blood pressure, high cholesterol and suffer from depression (which has also been linked to poor heart health). Cynics are also more likely to be overweight, smoke and avoid exercise. All reason to start focusing on what’s good in life, right? Tips to help: Start each day by writing down 10 things you are thankful for having. 5. You put off going to the doctor. We have access to quality health care in Australia and it is an important factor for heart health, but you have to take advantage of it. That means always going to the doctor when you have an unusual symptoms and updating your medical records when your family history changes. Women should also be sure to alert their doctors to any changes in their menstrual cycle, as certain conditions can increase the risk of heart disease. In addition, regular check ups and annual blood work can help you to better monitor medications and help you to track your weight, cholesterol, blood pressure and other important heart health markers. Tips to help : Set up a yearly reminder on your calendar to schedule a yearly physical—non negotiable! 6. You have more than one drink a night. While light drinking may be beneficial for the heart, heavy drinking has the opposite effect. Drinking too much alcohol can raise your triglycerides and it can lead to high blood pressure, heart failure and an increased calorie intake, which increases the risk of diabetes and obesity. In addition, excessive drinking and binge drinking can lead to stroke and other serious problems including cardiomyopathy, cardiac arrhythmia and sudden cardiac death. Tips to help : If you drink alcohol, do so in moderation. This means an average of one to two drinks per day for men and one drink per day for women. If you don’t already drink, don’t start. 7. You think secondhand smoke is no big deal. While the association between tobacco use and heart disease is undeniable, did you know that secondhand smoke can also harm your heart? A May 1997 report in Circulation found that constant exposure to second hand smoke in the workplace or at home nearly doubled a person’s risk of having a heart attack. Additionally, in 1992 the American Heart Association’s Council on Cardiopulmonary and Critical Care concluded that environmental tobacco smoke is a major preventable cause of cardiovascular disease and death, and that second hand smoke should be treated as an environmental toxin to public health. Tips to help: Set a smoke-free policy in your home and cars. When going out, choose restaurants and bars that are smoke-free. Don’t exercise indoors if someone else smokes inside regularly. Prevention is far better than cure when it comes to your heart [First Name], so be sure to eradicate any of the above habits from your lifestyle to maintain a Healthy Heart.